I’ve missed a few commemoration and remembrance occasions recently for various reasons and as usual, it’s provided an opportunity for reflection. Recent commemorations as I write have included Gallipoli, Tanzania’s national day and South Africa’s Freedom Day. (April). Somewhere along the line, in May, VE Day and Dunkirk featured and whilst I was in Africa at the start of the year there was Mendi Day. The SA Military History Journal for Dec 2014 (read in late April) was full of commemorations linked to WW1: Sandfontein, Square Hill, the 1914 Rebellion at Zandfontein, and the annual 11 November parade. They also had an article on a series of films being shown at Ditsong Military Museum as part of an ongoing commemoration programme. A War and Peace Concert took place in August. A military journal in itself suggests commemoration although I’ve focused mainly on WW1. In addition there was an article on the Anglo-Boer (AB) War, specifically looking at the work of the SA CWGC. No mention of the WW1 cemeteries at Maitland and elsewhere. This is not surprising as the AB War probably resonates more strongly amongst South Africans than World War 1. Again, not surprising as the AB War was fought on SA territory and impacted on more of the population than did WW1. This general lack of knowledge or awareness of WW1 and SA’s involvement was brought home on 21 February when I heard a newsreader announce that in future 21 February was to be National Troops’ Day. I stopped. How did they get to that? 21 February is Mendi Day, the day the SANLC lost over 600 labourers: not troops! Before sharing my horror with the world about myth generation, I thought it best to investigate a bit. Low and behold, officially the day is National Forces Day (whew! all inclusive and appropriate) and 2015 wasn’t the inaugral day but 2012. 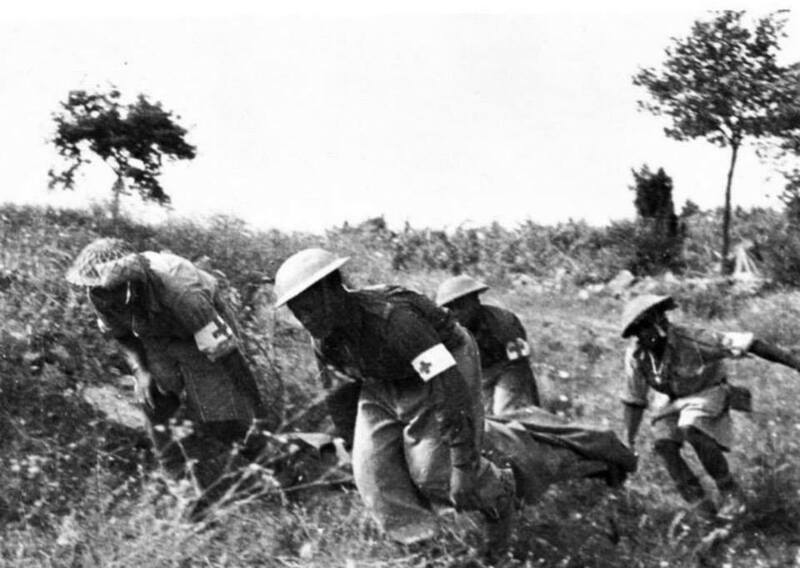 The challenge now will be to ensure that all the forces (WW1 and other) are recognised – from labourer to soldier to medical and support services. They all played a significant role in furthering the aims they believed they were fighting for and should be remembered for their contribution to creating the country we know today. For reasons of unification and reconciliation, Mendi Day is well-chosen but it will depend on the dominant voices and how they ‘use’ the day that will determine whether it perpetuates the myths or encourages honest investigation and recognition of how all the sectors of the armed forces worked together to succeed as they did. And the reference to VE Day, I discovered is the release of a film showing HM The Queen celebrating the news in Piccadilly Circus as one of the people. Soon after and long past by the time you get to read this, was the commemoration of VE Day by the South African Legion, whose newsletter also contained coverage of the WW1 battle of Trekkopje amongst other bits of interest. Black Friday kept popping up all over the place this past week causing me some confusion – it’s not too difficult at the best of times to confuse me, but I was trying to work out how Black Friday could be anticipated. That is until I finally gave up and ‘Googled’ it. As most of you probably know it’s a shopping day which happens in the USA after Thanksgiving (Happy Thanksgiving to those of you who celebrate it). I purposefully don’t follow the news these days as I find it too depressing, but have proven time and time again that if something is that newsworthy I will hear about it soon enough. But I couldn’t place Black Friday at all – my frame of reference being Black Week, 10-17 December 1899, during the Anglo-Boer War when the British suffered three major defeats in six weeks. Although I did try Black History Month, but that is October and is quite different to the majority of my associations with Black days as Black History Month commemorates and celebrates diversity of culture. Returning to my main frame of reference, there are the numerous letters one comes across in the archives with black borders signifying that someone near has died. This got me doing a bit of digging – the origin of black-border letters seem to be a Victorian phenomenon. During World War 1, letters regularly passed between friends and government officials edged in black. Most notable I’ve come across is the correspondence between Lord Buxton (Governor General and High Commissioner of South Africa) and his good friend Lord Grey (Foreign Secretary) to be found at the British Library. During the inter-war years, Black Thursday and Black Tuesday became attached to 24 & 29 October 1929 respectively when the Wall Street Stock Exchange crashed. This was to impact on many economies around the world, not least South Africa which only started to recover once it left the Gold Standard in 1932. This event was also to lead to the National Party (JBM Hertzog) and South African Party (Jan Smuts) joining to become the United Party which led the Union until the outbreak of World War 2. One of the earliest Black days was Black Monday – 8 February 1886 – when London unemployed took to the streets and rioted whilst one of the most recent was Black Saturday, 7 February 2009, when Australian bush fires claimed the lives of 173 people. Between these dates, there’s Black Wednesday, 16 September 1992, when Britain suspended its membership of the European Exchange Rate Mechanism. All in all, a Black day generally refers to a tragedy or significant negative event which had a national or wider impact. To call a shopping day Black therefore just doesn’t fit – no matter how much “I hate shopping, I hate it, I hate it, I hate it” as South Africa’s foremost acapella group, Not the Midnight Mass parodied Marie Penz back in the 1990s. And for those of you who were wondering about other Black days, Black Sunday refers to a film, whilst Black Days is a song and Black Day is a Korean day, 14 April, for singles – an event similar to Valentine’s Day. Whilst most people were commemorating the outbreak of World War 1 on Monday 4 August, I took a bit of a break as events in Africa kicked off on 6 August in Togoland and on 8 August in Dar es Salaam. All going well, I should be in Kenya for a special commemoration there on 15 August, the day the first soldier of the war was killed in East Africa. Ed Paice, though, fittingly published a piece on the Great War in East Africa in remembrance of the conflict which began 100 years ago yesterday. I turnedto World War 2 and a Polish cemetery a friend told me about on my last visit to Tanzania. Your reaction might well be the same as mine was, especially when you realise, if you know Tanzania at all, where the cemetery is – in a little village just outside Arusha called Tengeru. Had the cemetery been on the coast, or possibly even in Moshi or Arusha, it would still have been surprising but made more sense. Nevertheless, it is this village of Tengeru, about 24km outside of Arusha, where the Polish cemetery dating back to World War 2 can be found. The camp was formed by Polish refugees who were fleeing from Russian occupation of Poland on the one side and Hitler on the other. About 24,000 (18,000 according to Kresy-Siberia Foundation) found themselves in Uganda, Kenya and Tanzania with the biggest settlement being at Tengeru. They were en route to the UK, US and other destinations. This spot at Tengeru was apparently chosen because of its climate – this may well be, but it is not the easiest place to get to and there were other white settlements around the slopes of Mount Meru [this is going to require some further investigation in the British archives in due course]. Despite the challenge of getting to the cemetery, it must be acknowledged that it is a beautiful setting. After the war, about 1,000 refugees remained in East Africa with a number remaining in the Arusha area. They contributed to the local community building schools, an argicultural college, clinic and other facilities – all of which are still used in some form today with the agricultural college being their main legacy. There is one remaining refugee, aged 97, still living in Arusha and when it comes time for him to leave this earth, he will be laid to rest amongst his fellow Poles in a little corner of Africa. The cemetery is striking in its similarity to the Commonwealth War Graves. Most of the head stones look the same and are lined in the same way. Frangipani trees, a common feature of the German African graves, provide shade. The garden is tended by Simon Joseph who has taken over the work from his father who tended the graves for 32 years. He is supported financially by the Polish Embassy and donations from the many visitors who come to see this little bit of Eastern Europe in the heart of Africa. No matter what war one talks about, there are always those who are displaced, and it seems fitting, that on the day when most people are remembering the horrors the declaration of war started 100 years ago, we remember all those who were and have been displaced from their homes due to the national and other localised conflicts.